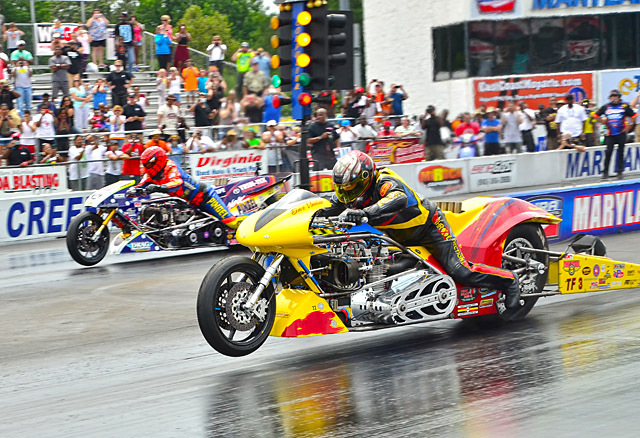 The address 1000 Jackson Rd, Atco, N.J., is a footnote in the history of motorcycle drag racing. 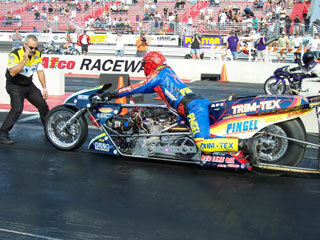 For decades Atco Raceway’s U.S. Motorcycle Nationals was arguably the world’s premiere dragbike race. It’s where AMA Prostar was born in 1989. 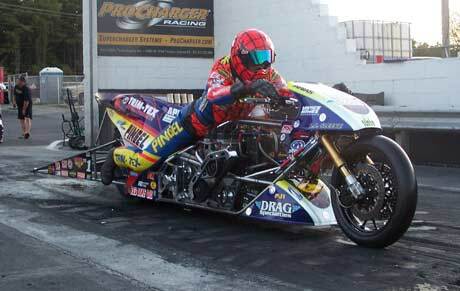 This year’s MIROCK Orient Express U.S. Nationals will mark McBride’s first trip to Atco since 2009, when the race was contested under the now defunct AMA Dragbike banner. Much has changed since the end of last decade. Atco was recently resurfaced and many say it’s smoother than ever. That bodes well for McBride and his match race partner, Dave Vantine, who produced the sport’s first side-by-side five second pass this past July. Larry McBride and Dave Vantine will aim to put on a show like they did at the WPGC Bike Fest in July. McBride and Vantine will race at 4 PM and 8 PM on Saturday and at 1PM and 5PM on Sunday. 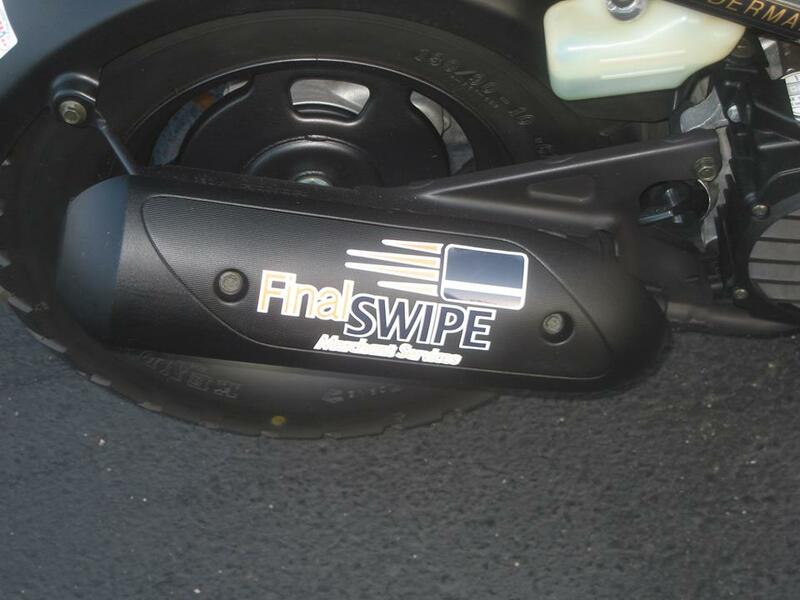 McBride thanked his primary sponsors; Pingel Enterprise, Trim-Tex Drywall Products, Drag Specialties-Parts Unlimited, Red Line Synthetic Oil Corporation and Final Swipe Merchant Services. K&N Air Filters, Web-Cam, Vance & Hines Motorsports, PR Factory Store, Ferrea Valves, Kibblewhite, Precision Machine, World Wide Bearings, Vanson Leathers, Millennium Technologies, Belt Drives Ltd, Simpson Race Products, Nitrous Express, APE, EK Chain, Arias Pistons, MSD, Protect ALL, Cometic Gaskets, B&J Transmission, Carolina Cycle, L.A. Sleeve, PJ1, Mickey Thompson Tires, Valco, Goodridge, Carlisle Belts and Gates Belts. Thanks to the Atco dragway for recent improvements ! Best of luck to all, race safe . wishing you great weather and a great turn out.